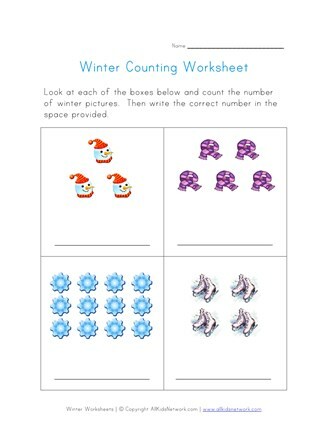 Children will enjoy this printable winter themed counting worksheet. 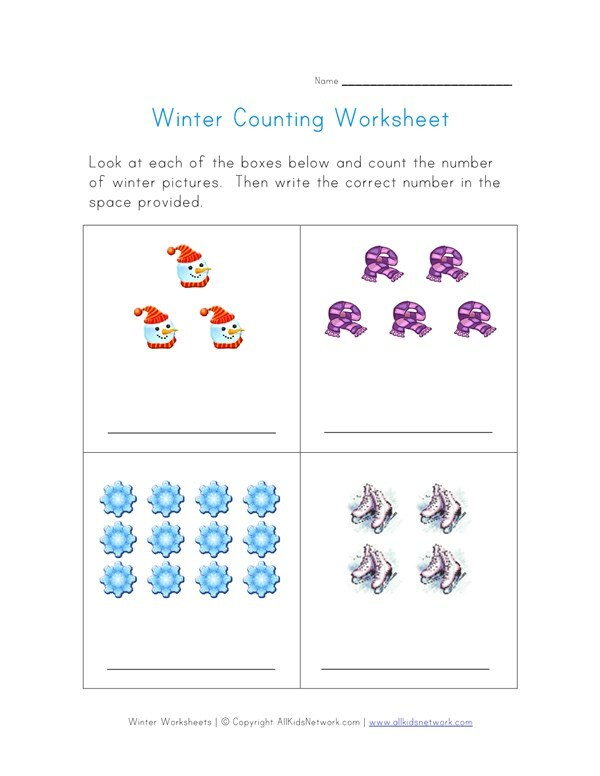 Kids practice their counting by counting the number of winter pictures (snowmen, snowflakes, scarves and ice skates) in each box and writing the correct number in the space provided. Print this worksheet out with the rest of our winter worksheets to do with your kids!